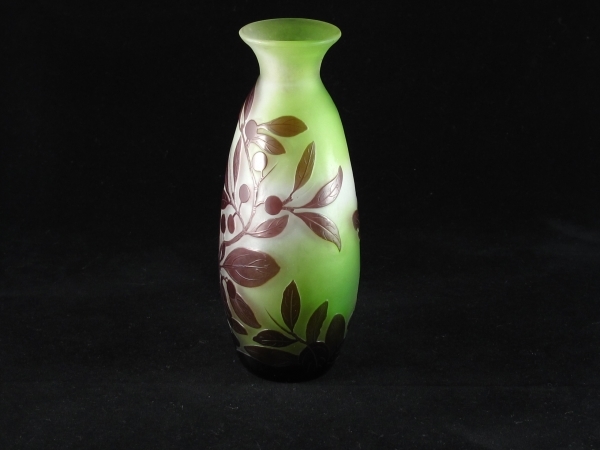 Emile Galle Art Nouveau three-color cameo glass vase with a design of olive leaves and berries. 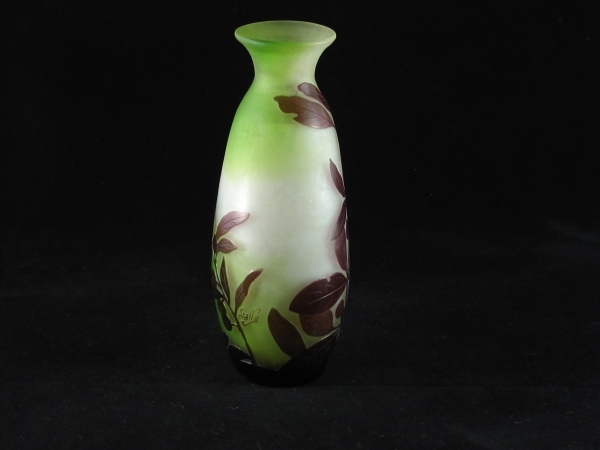 Green, brown and white glass. 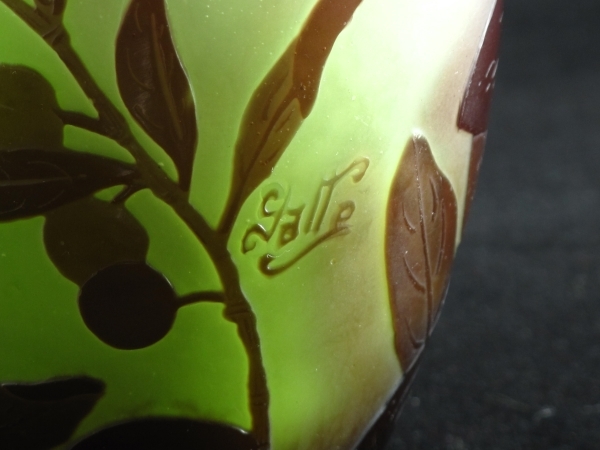 Signed in Cameo Galle, French, circa 1900. Excellent original condition. 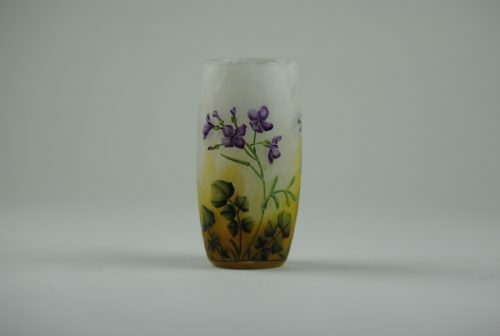 Emile GALLE Nancy 1846 – Nancy 1904 Industrialist, master glassblower, cabinet-maker, ceramist After several apprenticeships in various European cities, Weimar and Meisenthal amongst others, Emile Gallé became a partner at his father’s glass and faience decoration business in 1867. 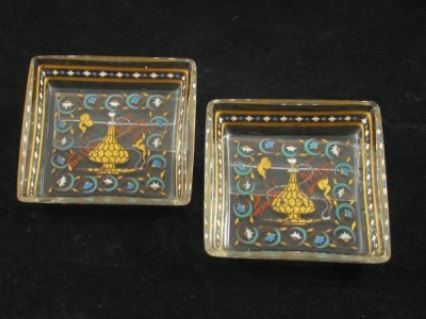 Ten years later, he took over the family business and extended its activities to cabinet making in 1885. 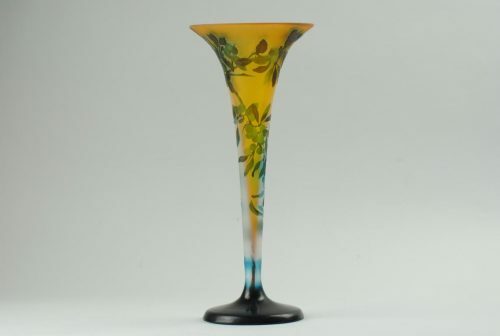 Previously acknowledged at the Clay and Glass Exposition in 1884, Emile Gallé was honored at the 1889 Paris World Fair with three rewards for his ceramics, glasswork, and furniture. 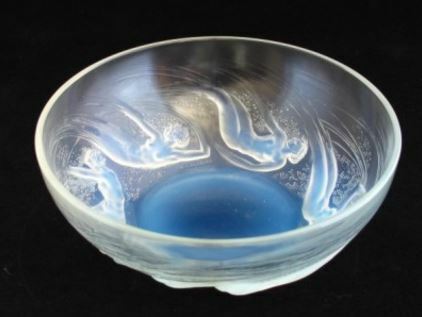 Unfortunately, and to the great regret of Emile Gallé, ceramic work was no longer popular amongst the public, thus he oriented his focus to glasswork, a domain in which he developed and created new fabrication procedures. 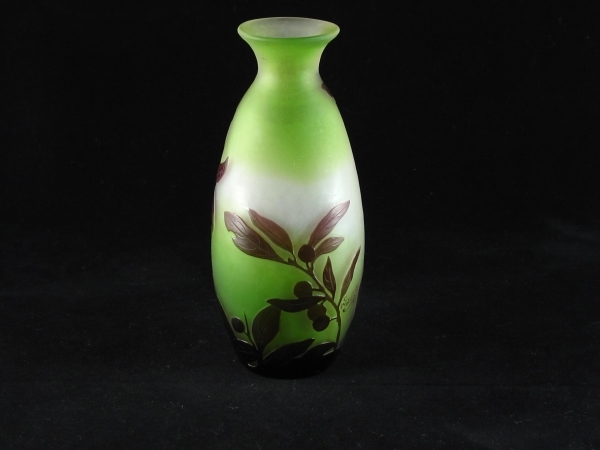 His research lead to the registration of two patents in 1898, one of which concerned the glass marquetry and the other on glass finish.